If you never get out of Santa Fe, as a photographer, you will still find plenty to delight the eye. Here are a couple more, rather ordinary, but nonetheless interesting shots from my workshop some years ago. The first is a late afternoon photo of the rear of some government buildings right downtown. 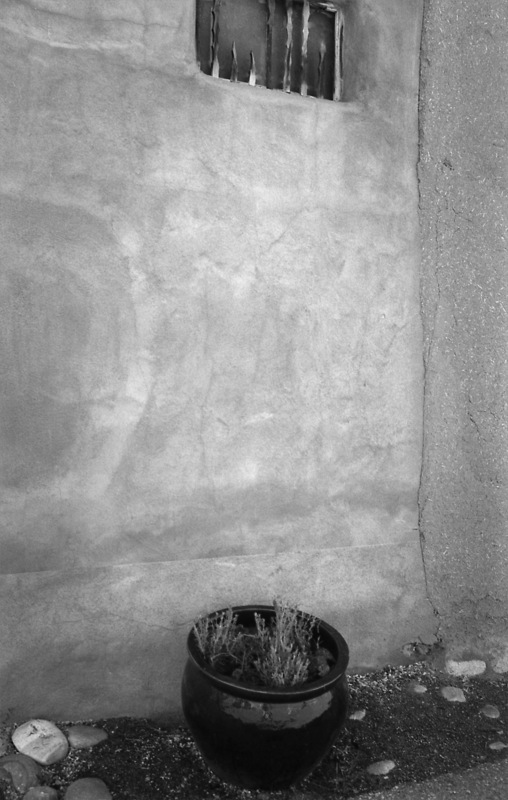 The camera was a Mamiya 645 and the film was Ilford HP5. Black and white is an ideal medium for the monochromatic earth tones in New Mexico. 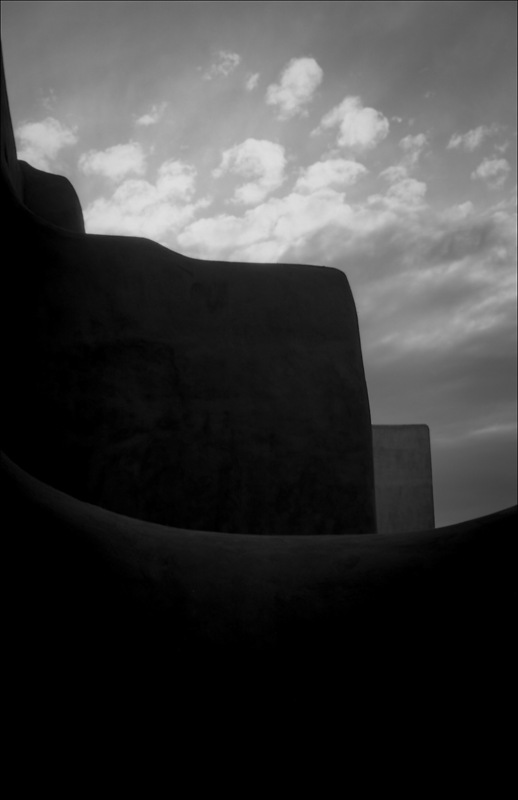 This entry was posted in New Mexico and tagged Black and White, Santa Fe. Bookmark the permalink.